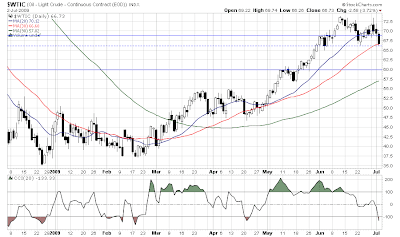 It obviously looks like it is breaking down, and the CCI suggests it will test the mid 37 level before fully oversold. However, you look at Oil, and it is oversold and sitting on support. 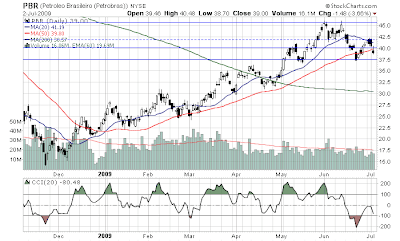 If Oil breaks down, expect the energy stocks to follow. (Its only natural.) With this, PBR has the potential to see 35 area.